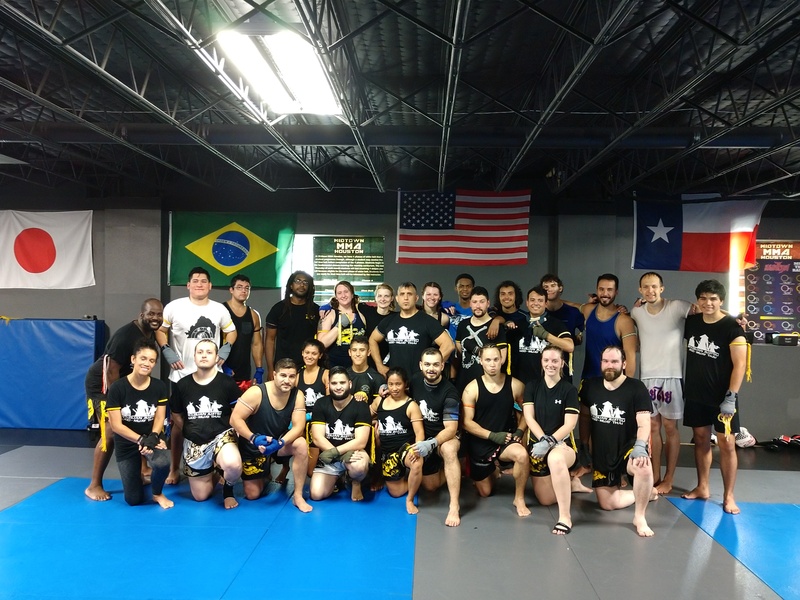 The classes held at Midtown MMA Houston Muay Thai gym, are structured so that all levels of experience are catered to. From beginner to advanced, you will leave class with a sense of accomplishment. Burn up to 800 calories in an hour, look amazing, feel great, and learn the real deal of striking and MMA! 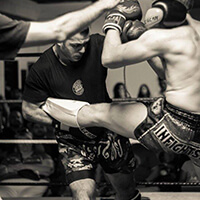 Our Muay Thai Kickboxing class will give you the striking game you are after and push your level of fitness to your full potential giving you the strength you need for competitive Muay Thai or for real self defense. Don’t let the Cardio Kickboxing programs out there fool you. 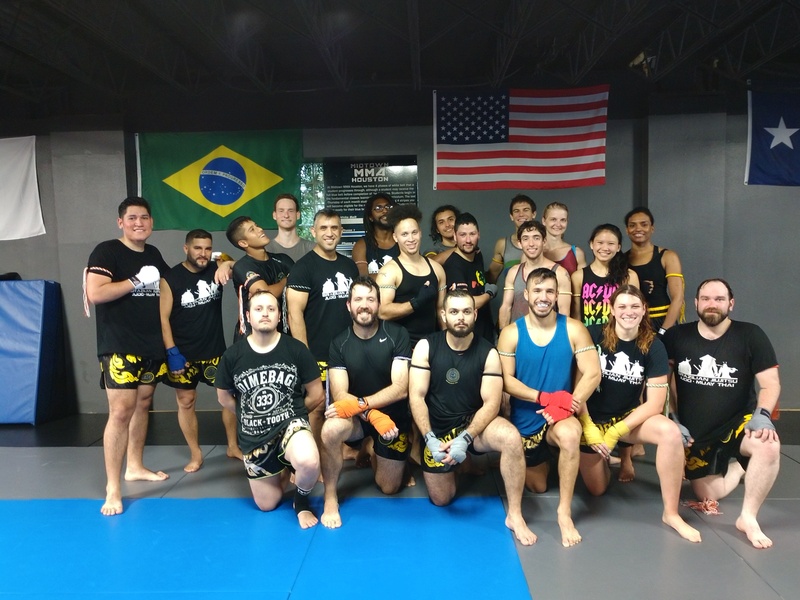 We are active in the Muay Thai community in Texas. You will learn the fundamentals of striking and kicking, get an awesome workout, and walk away with new skills and the satisfaction of self-improvement. Coach Chris trains with some of the top fighters in the Houston area, giving our students some of the best that Houston has to offer. People from all walks of life and of all ages are able to benefit from Muay Thai. Our members often come in with goals of weight loss, strengthbuilding, general fitness, self defense, competitive aspirations, or just to learn something cool. Click below and let us help you start your journey!